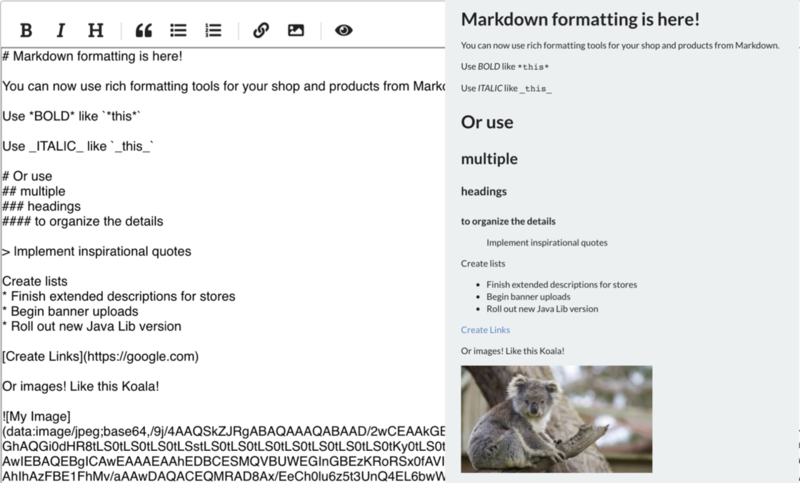 Markdown is now fully supported for store homepages and product descriptions. Use rich text, imagery, and links to tell your customers everything that they need to know! Use our editor to make inserting your content a breeze, or simply write it yourself using a guide.